Professional carpet cleaning is the ideal way to deep clean carpets, allowing the efficient removal of stains, dust, dirt, odors, germs, and pathogens. But when it comes to effective carpet cleaning, the proper technique and tools are essential. Choosing the right carpet cleaning company can mean the difference between an outstanding transformative result and a disaster that could ruin your carpets. Check for these 5 essential things to check for when choosing your carpet cleaning company. When receiving any professional services in your home, insurance is necessary to protect your home, your belongings and your family, as well as the workers on your property. Many carpet cleaning companies start up without adequate training, experience, tools and most importantly, insurance. Without insurance, you have no financial coverage if damage occurs to your carpet or your home during the cleaning process, and the carpet cleaning company could leave you high and dry to pay for the repairs. You could also be liable for workers compensation if cleaners are injured on your property. Always check your carpet cleaning company’s training, experience, and insurance before hiring. Dedicated carpet cleaning professionals have the training and certification to show an indication of their skills and the standards to which they perform their work. Your carpet cleaning company should have the Institute of Inspection Cleaning and Restoration Certification at a minimum, as well as other proven and recognized certifications. Experience gives your carpet cleaner the professionalism and knowledge how to handle any issue with your carpets. It takes years to build up the knowledge and skills to deal with different carpet fibers and carpet styles, different spills and stains, and the way they affect your home. An experienced carpet cleaner can offer a more individualized and customized service based on their experience and unique assessment of your needs. Choosing a carpet cleaning company in your local area means timely and efficient service and better value. 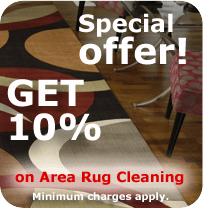 High quality, local carpet cleaner will be experienced and capable of providing a thorough carpet cleaning service in your area with all the equipment and tools necessary. You can also keep the details of a local carpet cleaner on hand if you need emergency carpet cleaning or stain removal, for rapid response to save your carpets. A carpet cleaning company’s warranty is an indication of their commitment to providing you a thorough, reliable and high-quality service. A guarantee is a promise of a certain standard of service and a quality result. It also gives you the peace of mind that your carpet cleaning company has the dedication to complete the job correctly, and make any changes or amendments necessary. Professional carpet cleaning and stain removal can make a lasting difference to your home, making it healthier, safer and more beautiful. Make sure you get the outstanding result you want by checking that your local carpet cleaner is fully qualified, experienced and insured. Thanks for these tips for finding a carpet cleaning company. I’m glad that you mentioned that you should find out the experience a cleaner can have, especially if they have had years to build up their skills. Perhaps it could also be good to learn of specific past cleanings they’ve done to learn more about their qualifications.